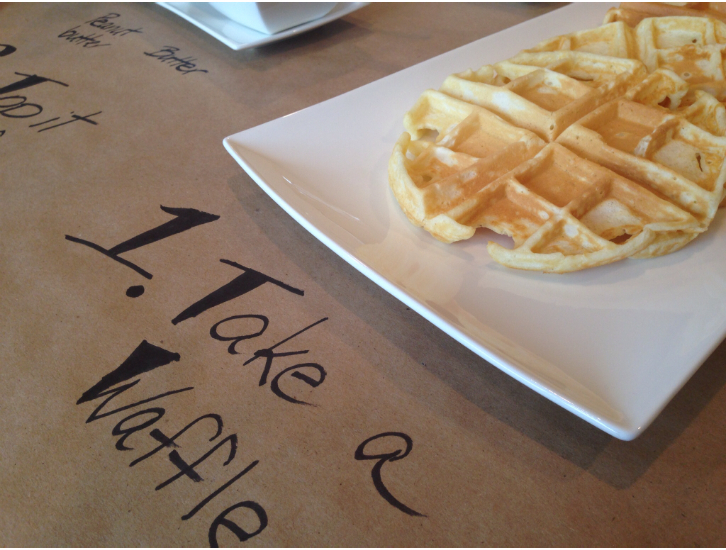 Oh, and don’t forget to serve the waffles with thick cut bacon!! 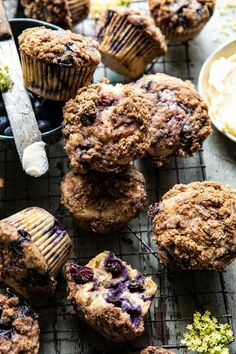 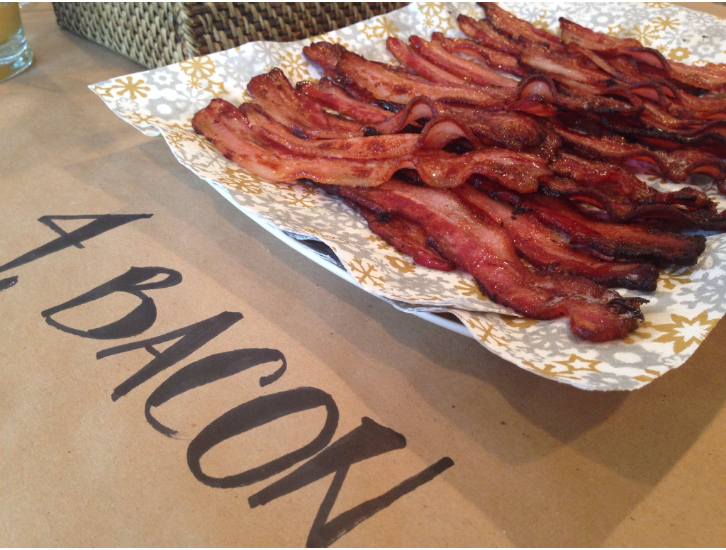 At the “pew” breakfast we had a bacon-off, testing out two different kinds of thick cut bacon and my family voted for Lepp Farm Market….so that’s what I’m serving from now on! 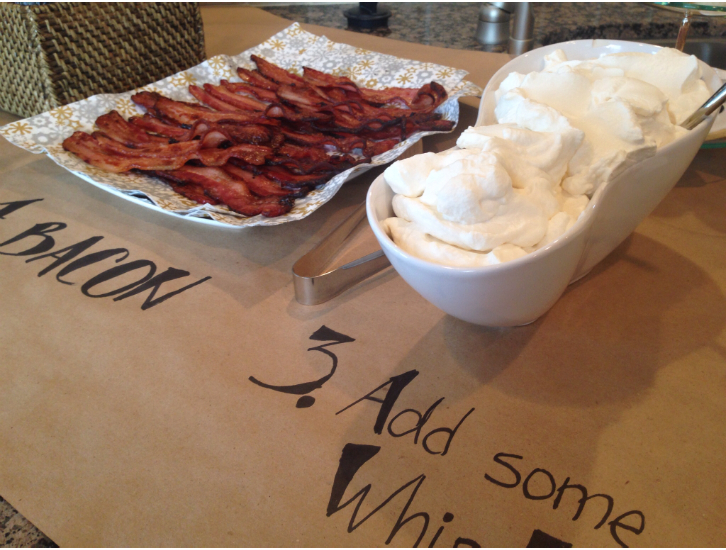 It doesn’t matter how much bacon you make, there’s never any left over! 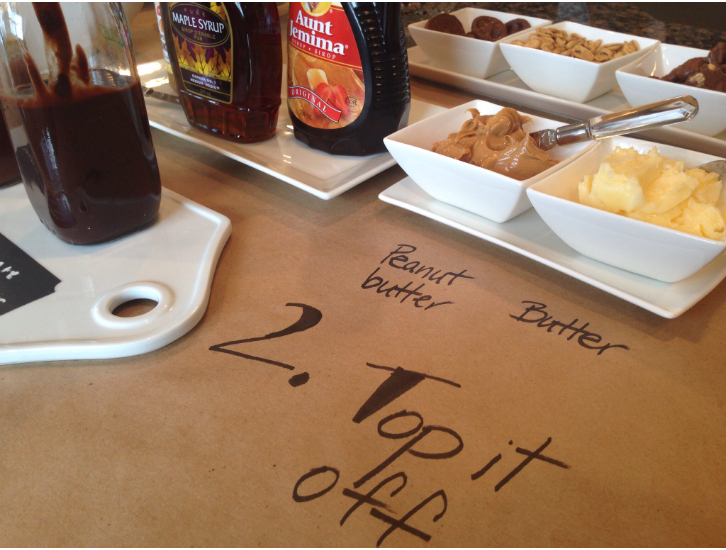 I covered our island with craft paper and doodled the steps and labelled the toppings. 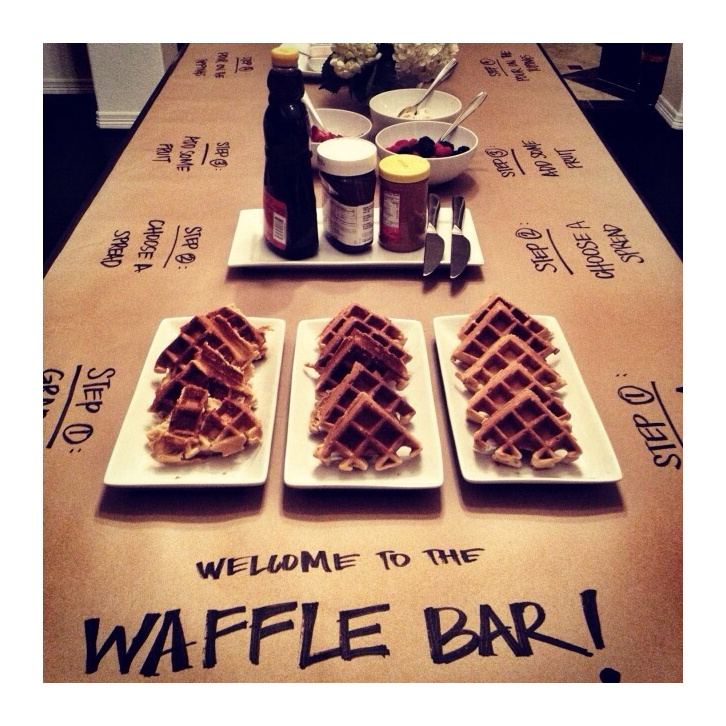 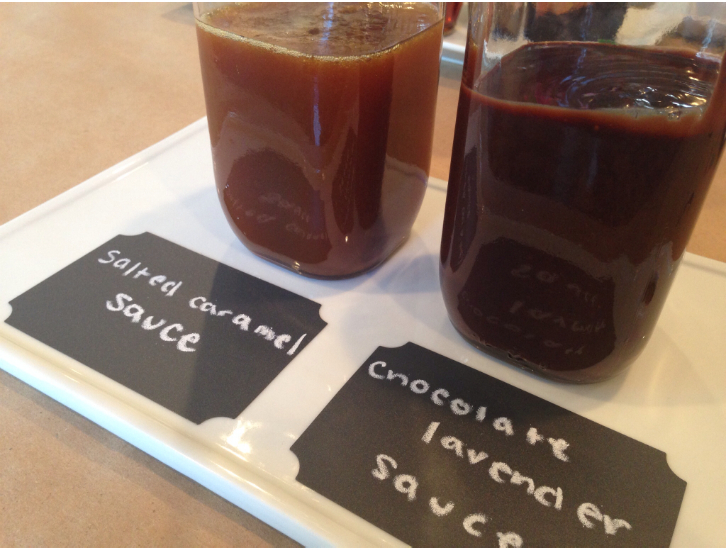 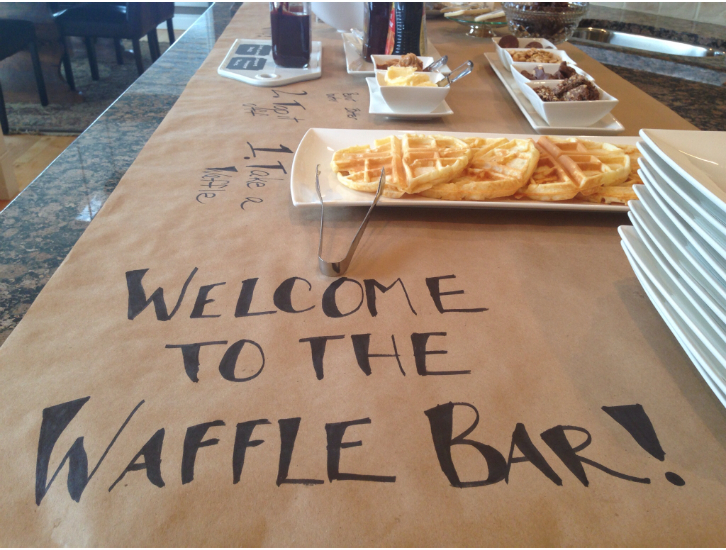 Setting up a waffle bar is a simple and fun way to entertain….quite perfect for a New Year’s Day brunch!